After last week's 4MRMarket, we had this 4MRLunch. 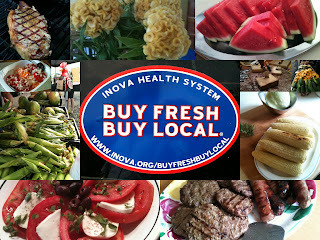 Buy Fresh, Buy Local and you can too!! With the growing season further along every week as we get into summer, new goodies become available for you to take from farm(ers market) to table. This week, C&T Produce offers a fantastic produce selection, including things like blueberries, greenhouse tomatoes, lettuces, cucumbers, squash, zucchini, green onions, sugar snap peas, carrots, sweet potatoes, and more! Meanwhile, we wish the Stifler's well for their daughter's wedding day, while What's for Dinner Now and their meats take a break. Come get your 5 a day the local way! This week we welcome back popular craft vendors Uncommon Knits, who are also bringing along a fellow crafty buddy to sell glass work. Glass artisan Kristi (of Kristi Kelly Glass Studio) does what we're told are fantastic jewelry and accessories (napkin rings, serving pieces, bottle stoppers, etc). So come check out a crafty week at 4MRMarket! Musician Lee Istrail and Friends will be on the 4MRMarket Stage from about 10 to noon or so. Come on by for some great live music! Please see our facebook invite page for more information about the show! Thanks for all that came out last week to the Arlandria Open House. City staff had a lot of information on 4MR Park and other improvements throughout the neighborhood. You can see more Arlandria information, if that piqued your interest, at this City website. 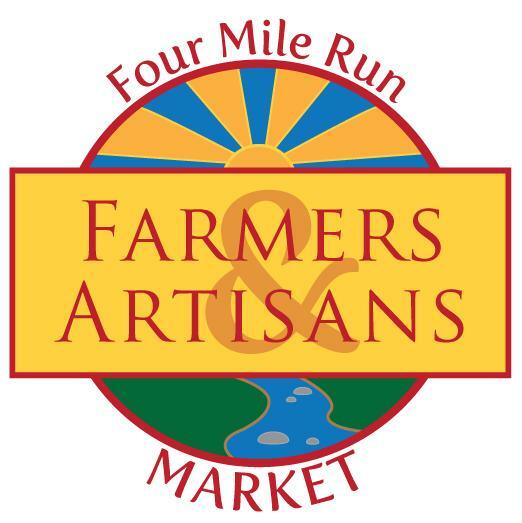 Don't forget: Buy Fresh, Buy Local and Win at 4MRMarket!! The Stifler Farm aka "What's For Dinner Now" - (ON A BREAK THIS SUNDAY, but contact Joyce and Mitch to place your orders for next Sunday's return). Farm-raised Black Angus beef, humanely raised on lush pasture fields of the Shenandoah Valley, naturally farmed pork...and now... Uncle Frank's Grilling Sauce!! Kristi Kelly Glass Studio - Glass artisan, crafting jewelry and accessories (like napkin rings, serving pieces, bottle stoppers, etc).